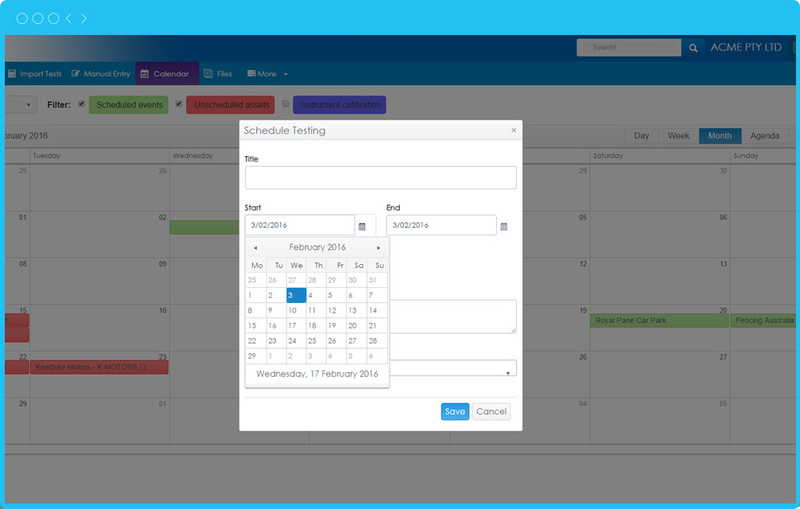 Job Scheduling – Plan your day, week or month with job scheduling in our in-built calendar. 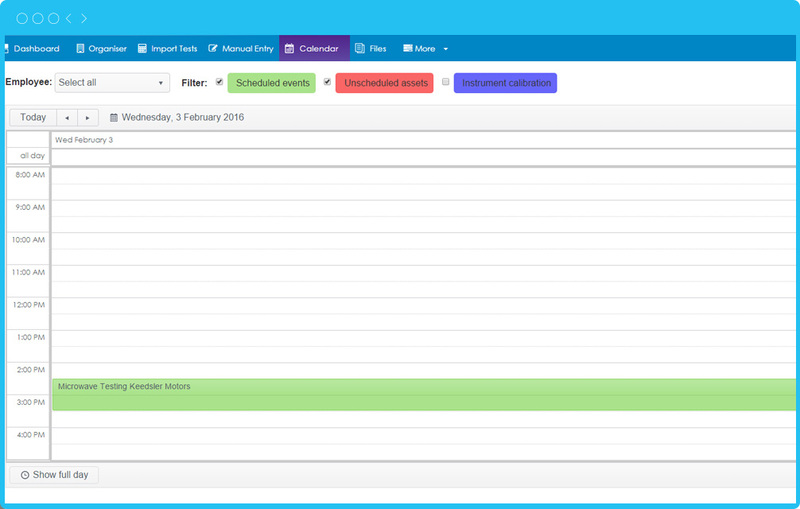 Scheduling in your tasks, jobs and re-test appointments from either the calendar or the dashboard couldn’t be easier and PATorganiser will also automatically remind you via email. 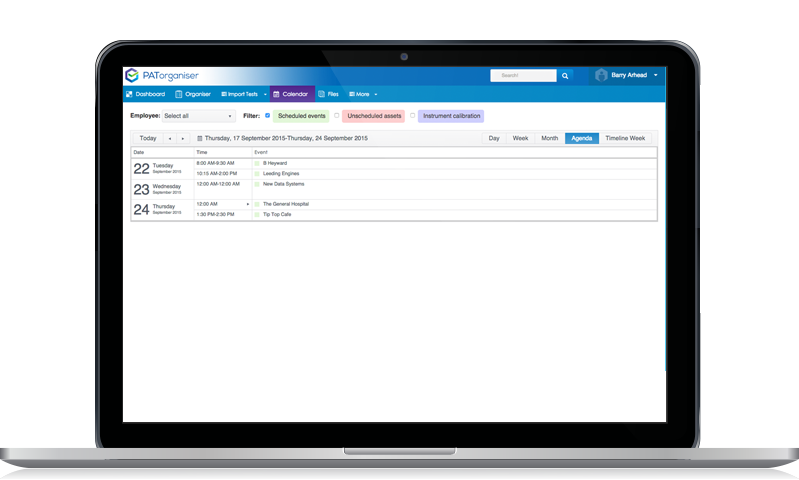 Plan your day, week or month with job scheduling in our in-built calendar for recurring projects & events. 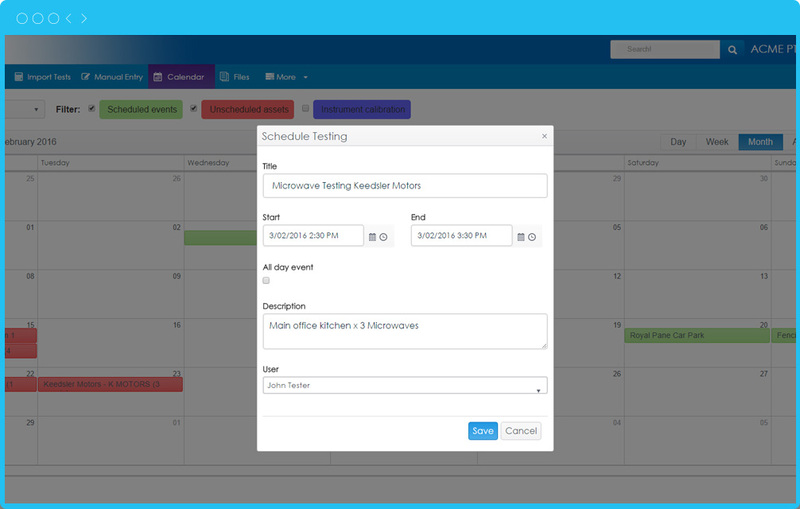 With our job scheduling is just like having your own personal assistant. Never miss another appointment, plan your day, week or month in our easy to view and use calendar. Add personal events and appointments that are private and only visible to you.